One reason for this is the sheer danger of being hit by a bus driving at speed. 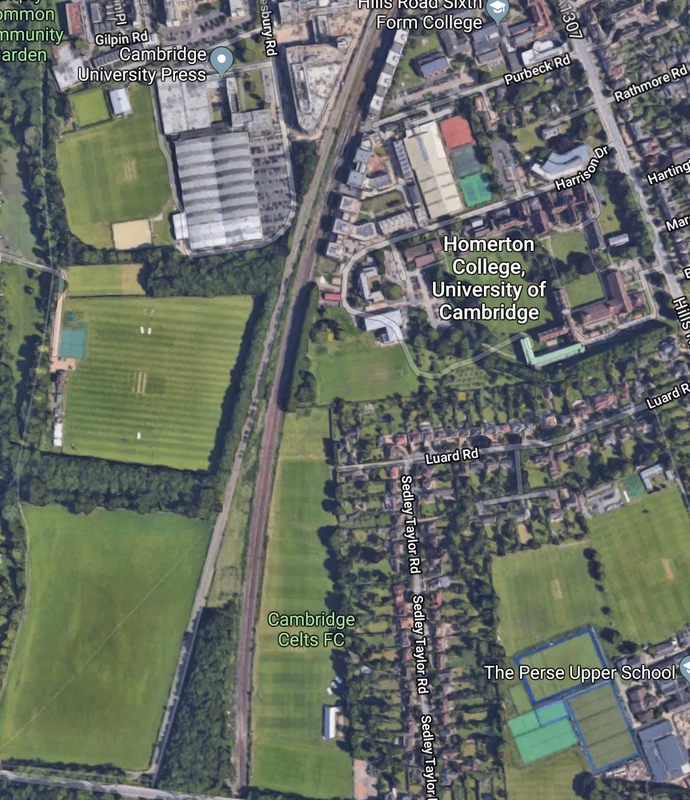 A bus weighs ten tonnes and can run at a maximum speed of 53mph on the straight, guided section which covers most of the Trumpington line. At 50mph the buses have the same kinetic energy as a 1.5 tonne car travelling at 130mph – and six times the amount of energy of the same bus travelling at 20mph. The bus’s stopping distance at 25mph (or c40kph) is 20 metres. Travelling at 50mph the distance increases three times to 60 metres – in the wet these stopping distances go up by 50-100% and in all instances they are c.10m more than in a car, in part because bus tyres are made of a harder compound and wear longer but grip less well. This is hugely compounded by a guided bus being the only land transport apart from a train that cannot steer or swerve to avoid something or someone – if a fallen cyclist is on a road 20 metres ahead it is very easy to steer around them but impossible to stop. 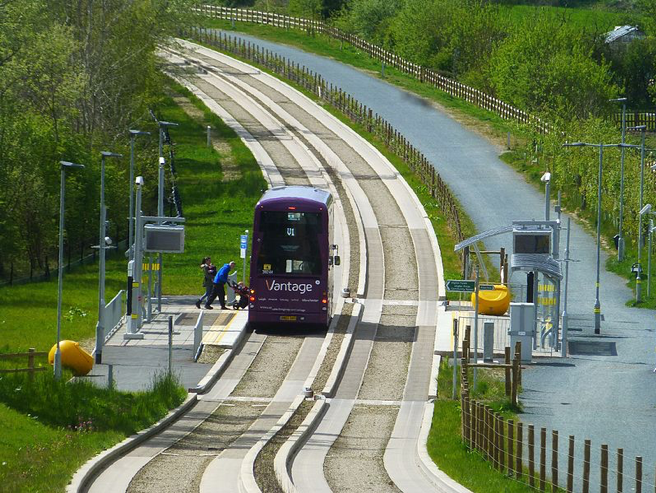 Apart from a short 100 m section of the route in Histon, the guided busway in Cambridgeshire has no barriers between the track and the path, which is a huge issue in comparison with a train track. A similar busway in Manchester has a green verge and a simple fence. Would this type of fence provide adequate protection on the Trumpington section? Could something similar be installed? What other improvements could be made? I have already written about the lack of an accountable safety body [update October 1: I have been informed that the County Council do treat the busway as a road, but there is still no specific guided busway safety body] and I will continue to ask questions about this. I am also concerned about access for emergency vehicles to gain access to the busway. Last week a fire engine and police car did gain access, but it seems that the ambulances did not. Is this of concern to the emergency services and can it be improved? How Safe is the Busway Compared to a Road? There is another question, around how safe the busway is compared to other road transport. I’ve looked at the data around this, and according to my research it is significantly more dangerous than a road like the A14. If we look at the last four years, I can find records of one death – that of Steve Moir just last week – and six injuries on the busway – including three derailments which have resulted in 5 injuries. Looking at the current timetable, there are currently 390 vehicles/day, so over the last four years there have been around 1.1m vehicle movements. This equates to 1 death for 1.1m vehicle movements. Over a similar four year period on the most dangerous road in Cambridgeshire, the A14, there were 14 deaths and 545 injuries, and 124 million vehicle movements This equates to 1 death for 8.8m vehicle movements. Is this section of bus way eight times more dangerous than the A14? I sincerely hope not, but at the moment we have a situation in which pedestrians and cyclists feel exposed, and one tragic accident has already happened. We must do all we can to reduce the chance of another – and reducing the speed limit seems to me the best, simplest way to do that until other measures can be put in place.